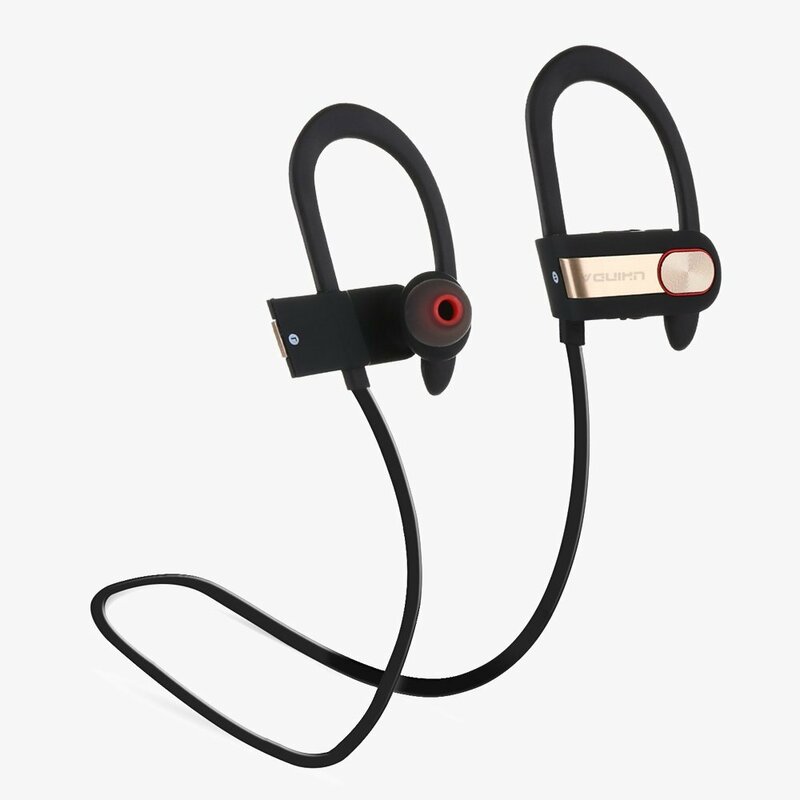 Home › Electronics › Ukinda Wireless Bluetooth Headphones Bluetooth 4.1 Sweatproof Sport Earphones..
Ukinda Wireless Bluetooth Headphones Bluetooth 4.1 Sweatproof Sport Earphones.. COMFORTABLE and SECURE FIT: With Ergonomic design and silicone ear hooks, UKINDA Bluetooth Headphones are secure behind your ears and rest comfortably in the ear canal. Light weight and Premium soft smooth silicone gel surface make you feel very comfortable . It is great for Gym, Running, Jogging, Hiking, Cycling, and impact Sports. BLUETOOTH V4.1+EDR and UNIVERSAL CONNECTIVITY: We give you the power of Bluetooth V4.1+EDR technology for seamless syncing to your favorite wireless devices, including iPhone, iPad, Android cell Phones, Windows Phones, and more up to 10 meters 33 feet. NOISE REDUCTION: With DSP noise reduction technology, the UKINDA Bluetooth Earbuds reduce background noise, so you can focus on your favorite music, no matter where you are. POWERFUL BATTERY:Music playing time up to 8 hours on a full battery charge. Super quick charge time of only 2 hours which lasts up to 240 hours of standby time. NEVER MISS A CALL:Easy to use technology with voice prompts of incoming calls and phone numbers. Superb microphone quality for clear conversations. Easy to use buttons for full audio control without reaching for your phone.